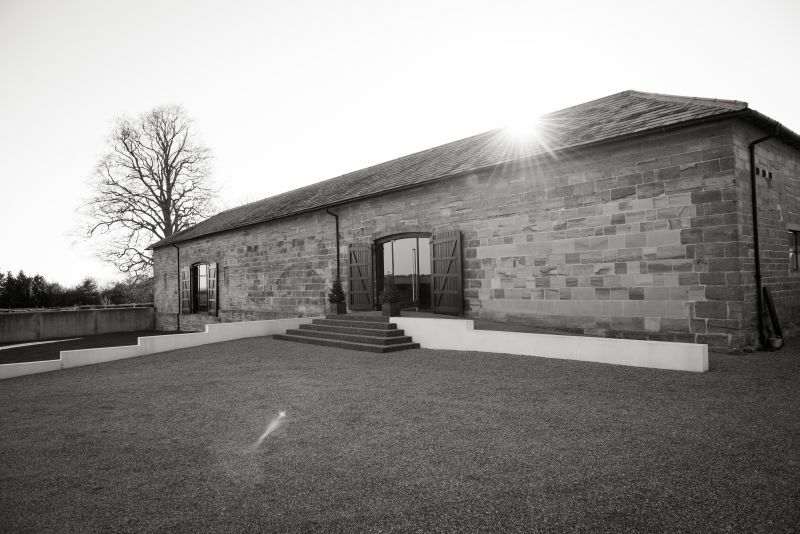 Hendall Manor Barns consists of three interconnecting buildings (The Stone Barn, The Old Dairy and a caterer’s kitchen in the former Calf Pens) surrounding a sizeable central courtyard with a lawn and a raised terrace. These historic and beautiful buildings sit below Hendall Manor and its adjacent 17th century sandstone barn; the latter is used for holiday lets and short stays. Formerly at the centre of a dairy farm, all these redundant buildings were comprehensively refurbished between 2006 and 2011. Hendall is approached directly off the A26 via a private drive and a new track leading to a newly re-clad Dutch barn that provides under-cover parking for 42 cars. From here, it is a moment’s walk to the entrance where there is additional space for disabled parking and drop-offs. We are situated within the High Weald Area of Outstanding Natural Beauty (AONB) with The Ashdown Forest a short distance to the north. This is easily accessible by foot along the Wealden Way which passes close by. The considerable space within and directly outside the three buildings can be adapted for a multitude of different uses, including evening receptions, lunches, exhibitions, courses, conferences, meetings, exercise classes, recitals – in fact, the list is endless. Whether you are looking for a discreet family celebration, to run a training course or a corporate event, we can provide the space, equipment and lovely surroundings that you require. We have installed a sophisticated lighting system, floor-mounted internet/data points and a sound system to cater for any mood or presentation required. There are two external and one internal ramp and designated parking next to the building for disabled access. A list of preferred professional caterers, photographers, florists and vintners is available and we can assist in putting together the team you need to make your event work efficiently and professionally. We operate a Green Travel Plan to encourage the use of car sharing, taxis and public transport. Please refer to the ‘finding us’ page on this website. Click here to download a PDF site plan.